Maths-Whizz is a virtual maths tutor online that was launched over ten years ago. It was, and still is, a unique product because of its adaptive nature. It is able to guide students through an individualised learning journey that simulates the behaviour of a human tutor. Maths-Whizz currently reaches 150,000 students in the UK, US, Kenya, UAE, Russia, Thailand, New Zealand and Mexico, with a view to expand to more languages and territories in 2019. Maths-Whizz needed to provide and engaging and visually exciting environment for children. This called for lots of animation, sound and a very interactive experience, and 10 years ago that meant using Flash. Fast forward to 2018, and the future of a Flash site is not so rosy. Whizz have focused on migrating all their lessons from Flash (unfriendly to most mobile platforms) to HTML5. Our challenge was to conceptualise, design and execute the overall engagement and gamification app that would contain them, also in HTML5, in a way that will be fit for now, and for the next 10 years, both technically and from a design point of view. 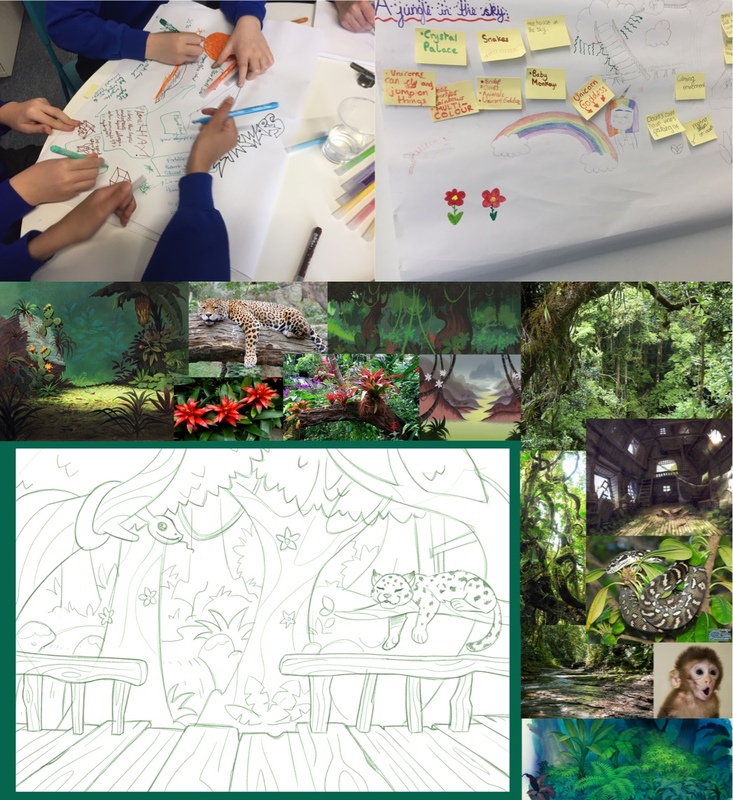 We had to create an immersive, exciting and modern environment that would entice children to learn - alongside a gamification strategy that would provide motivation, healthy competition, and visibility of their progress. And quite crucially, the new container would have to work for children as far and wide as Kenya, the US or Thailand. From the word go we worked really, really hard at understanding our audience, and we were very careful not to take a “one size fits all” mentality, because we were keenly aware that the product needed to work for all children in all countries. We therefore researched Whizz users in every single territory to identify their key needs, wants and pain-points; we waded through reams of user feedback logs, some of them with the strangest requests, to find what would bring delight; we visited schools and we set up user groups to really grasp what makes children tick, how they want to learn, and how to keep them learning. We recruited a top illustrator that could deliver the modern and enticing visuals that both children and the future of the brand demanded. We rehauled and simplified site navigation. Through observing children, we came up with simplified interactions that would also work on tablets and touch screens. This is soooooooo much better, the avatar is awesome! And to bring it all together, we had an incredibly talented group of coders that future proofed the site. It was built in HTML5, using React’s component model and Redux for state management. We used SVG environments and graphics so that they can scale both to current and future devices, and deliver excellent performance from web to mobile. The new user experience for Maths Whizz is scheduled to launch in May 2019. It will smoothly transition children from the old Flash based site onto the new one, preserving their progress and their achievements, and onboarding them into the new environment. Working with the Milo team was a great experience; the project was handled incredibly well and the team were very supportive and helpful. A very creative and innovative experience.